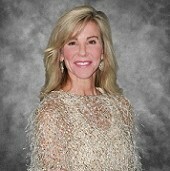 Susan Hoffman is a Licensed Professional Counselor who joined Georgia Behavioral Health Professionals in August 2018. Susan considers herself to posses strong compassion, listening, sympathy, empathy, stability and openness skills when it comes to counseling. Susan earned a Bachelor of Communication from the University of Maryland. She furthered her education and earned a Master in Mental Health Counseling from Argosy University in Atlanta. Susan's career began at Lakeview Behavioral Health-Acadia Healthcare's acute in/outpatient hospital in Norcross, GA from January 2014 to April 2018. There, Susan was the lead therapist in the adult outpatient program for 3 years and served hundreds of patients and their families struggling with various diagnoses.